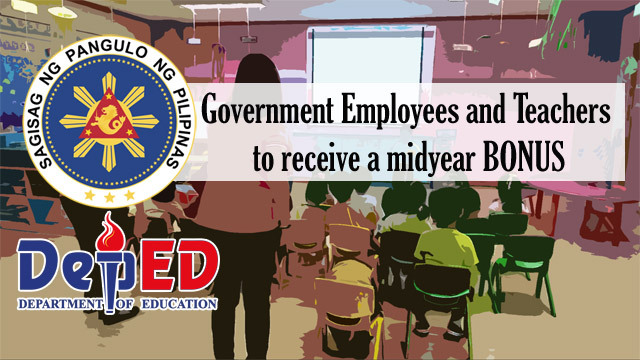 Since May 15 of last year, all government employees and public school teachers receive a midyear bonus which is an equivalent to their one month salary. Under Budget Circular 2017-2, the government allocated a total of Php 36.2 billion that will cover 1.5 million employees. A regular, contractual, appointive, casual, full or part time workers in an executive, judiciary, legislative constitutional commissions and offices, state universities and colleges, public school teachers, civilian personnel and members of the Armed Forces are all covered by the compensation and are entitled to the bonus. Retirees who are extended on their job will also have a privilege for the extra wage. However, an employee must at least work with a minimum of 4 months in service and acquired a satisfactory performance or more. According to Budget Secretary Benjamin Diokno, it is non-taxable and will not surpass up to Php 90,000. 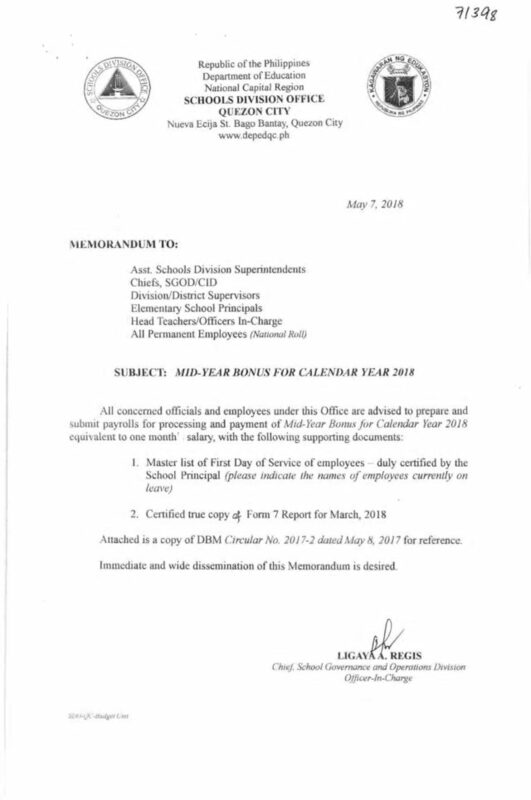 In time with the release of midyear bonuses, Operations Division Ligaya A. Regis and Chief of School Governance declared a memorandum for concerned executives and workers to arrange and present a payroll in time to process and deliberate the payment for teachers. Ligaya also prompted bothered employees to ready their Master List of First Day of Service of Employees that is verified by the school principal and an accredited and true copy of their Form & report of March this year. Meanwhile, laborers from agencies such as Government Owned and Controlled Corporations (GOCCs) will be exempted according to the Republic Act No. 6758 or Salary Standardization Law because they have a different compensation and position classification system. Workers who got their job through job contracts with a specific project and their payment is output based will not receive the extra salary as referred to the DBM circular. The 14th month pay or granting of midyear bonus is instructed from Executive order No. 201 that former President Aquino signed.